Ideal for small to medium domestic projects. Disposing of general household and/or garden waste. Waste types: soil, rubble or general commercial and domestic waste. Fits easily on a standard sized driveway. This skip is small and convenient for domestic or business use. This skip is suitable for low volume waste such as garden clearances. The capacity of this mini skip is 2 yards³/1.5m³. The skip dimensions are (average) Height 0.76m (2″ 5″) | Length 1.53m (5″) | Width: 1.01m (3″4″). 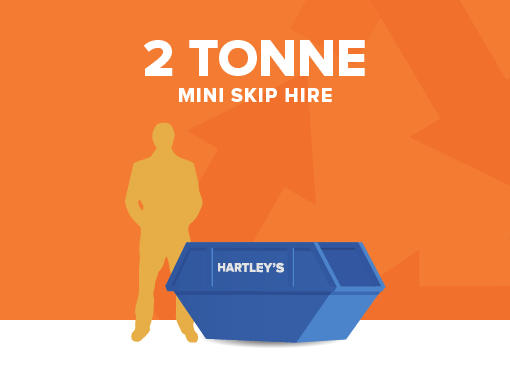 Skip Hire prices vary dependent on your location in Staffordshire and the type of waste. To find out the exact price to hire this skip in Staffordshire, please complete the enquiry form on this page or call us on 01782393787 or 01538753640. By submitting this form, you permit us to contact you using the details submitted. Our skips are in order of how much weight they will hold. The skip dimensions (an average) will help you decide what skip is best for you. If you have any questions regarding our skips and which one you require, contact us on 01538 753 640. or 01782 393 787. Skip dimensions may vary slightly.